Mary I (1516-1558) was the Queen of England and Ireland. She was the daughter of Henry VIII and his first wife Catherine of Aragon. She is remembered for her restoration of Roman Catholicism after the Protestant reign of her half-brother. 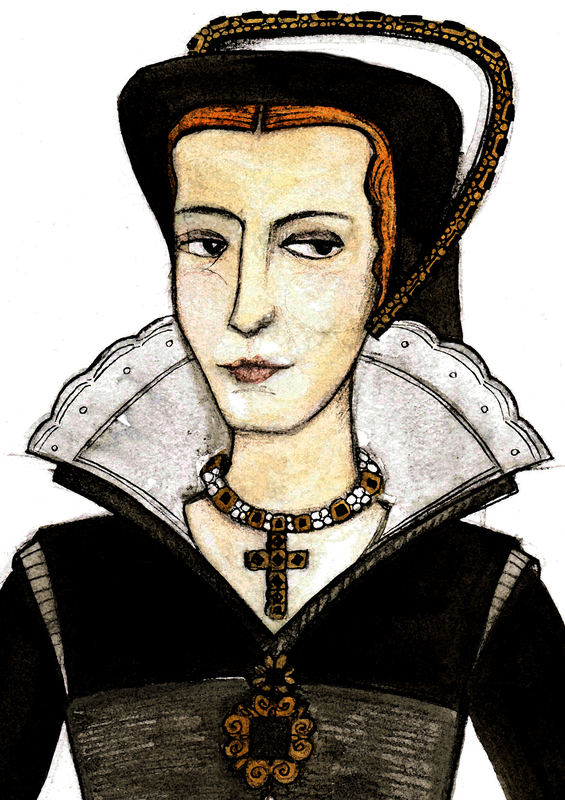 During her five year reign, she had over 280 religious dissenters burned at the stake- hence giving her the name “Bloody Mary.” All her doings were reversed by her younger half-sister and successor, Elizabeth I.
Mary has always fascinated me- but not for her life and legacy… it’s her wardrobe. AMAZING. Everything is neat, tight, and restricting- yet profoundly detailed and beautiful. I would want her wardrobe out of any other monarch. Mary specifically stated that she be buried with her mother- but despite her wishes, she is laid to rest at Westminster Abbey right smack dab next to the little half-sister she loathed.